You are here About > Where Are We Now? Over Over 8,500 people took part in the first wave of TILDA in 2009 and 2010. All participants completed an interview in their own a home and over 6,000 also completed a health assessment, either in their own home or at a dedicated health centre in Cork or Dublin. The first results from Wave 1 were published in a report ‘Fifty Plus in Ireland 2011: First Results from The Irish Longitudinal Study on Ageing’. Wave 2 of the study, which involved re-visiting and re-interviewing participants’ from the first wave was completed in 2012. The information collected through these follow up interviews allows us to look at how participants circumstances and experiences have changed (or stayed the same) since our first visit. As in Wave 1, an interviewer visited all participants and asked questions about things we believe to be important in the lives of people aged 50 and over. Topics covered included health, housing, social support, work, retirement, pensions and quality of life. Since the first interview we added a number of new questions, including some on personality. There was no separate health assessment during this wave, but the interviewers took a measure of handgrip strength and walking speed when they visited participants in their homes. 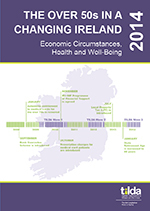 The first results from Wave 2 were published in a report titled ‘The Over 50s in a Changing Ireland: Economic Circumstances, Health and Well-Being'. The third wave of TILDA began in 2014 and was completed in 2015. 6687 participants completed an interview in their own home, with 80% also completing a health assessment, either in their own home or at a dedicated health assessment centre in Trinity College Dublin. The Wave 3 questionnaire included new questions, for example on dietary habits, while the health assessment included novel measures on sensory function, cognition and cardiovascular health. 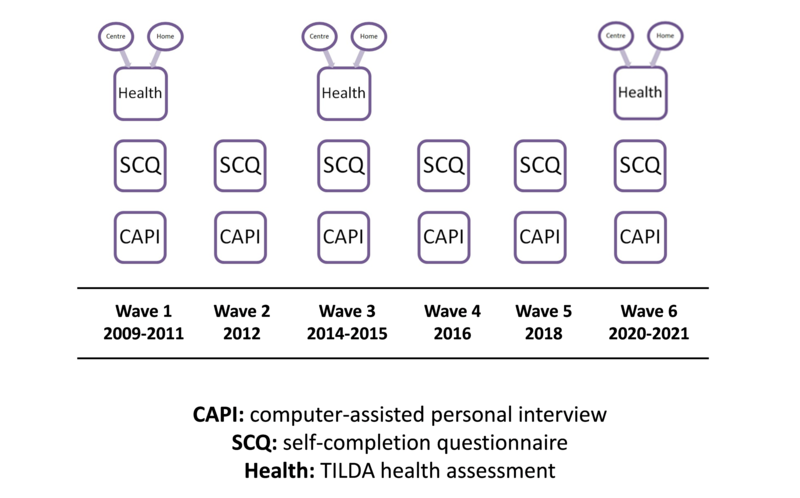 The inclusion of a follow-up health assessment allows us to look at changes in objective health measures in addition to the changes in health that participants report during their interview. The first results from Wave 3 were published in a report entitled ‘Health and Wellbeing: Active Ageing for Older Adults in Ireland. 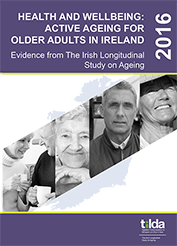 Evidence from the Irish Longitudinal Study on Ageing’, and researchers are currently preparing the data for publication in academic journals. Wave 4 of TILDA took place in 2016. Over 6000 interviews were carried out in participants own homes. In addition to collecting repeat questions on health, social and economic circumstances, this wave included new questions on topics such as health literacy and childhood health for the first time. There was no separate health assessment during this wave, but the interviewers took a measure of handgrip strength and walking speed when they visited participants in their homes. 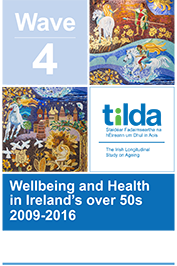 The first results from Wave 4 were published in a report entitled ‘Wellbeing and Health in Ireland's Over 50s 2009-2016’ launched in November 2018. Wave 5 of TILDA is currently in progress. Wave 5 includes a personal interview in the participant's home and a self-completion questionnaire. There will be no health assessment at Wave 5, though measures of hand grip strength and walking speed will be taken during the personal interview. Participants in the first wave of the TILDA study will be invited to complete a follow-up interview every two years and a health assessment every three to four years. The Irish Longitudinal Study on Ageing (TILDA) > About > Where Are We Now?